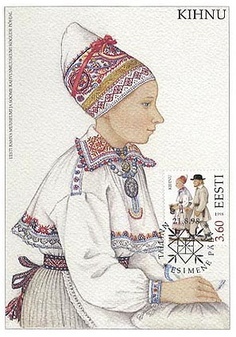 The cap was made on a small Baltic island of Kihnu where ferry calls only once a day, and maybe because of that the island has preserved ancient traditions of Estonian artists intact. 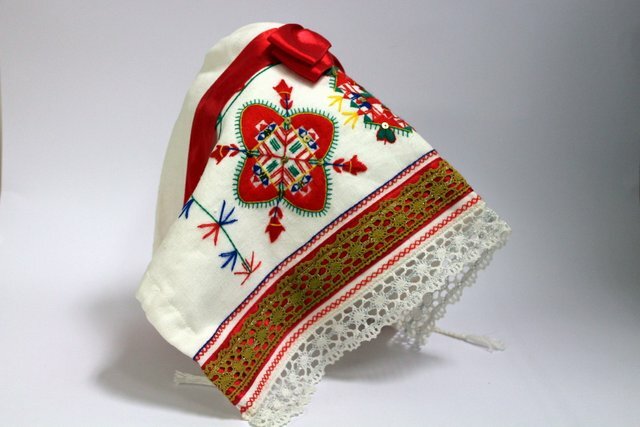 The cap has a traditional for women’s costume of the Baltic shape, though it is made not from flax, which is considered a traditional material here, but from cotton. 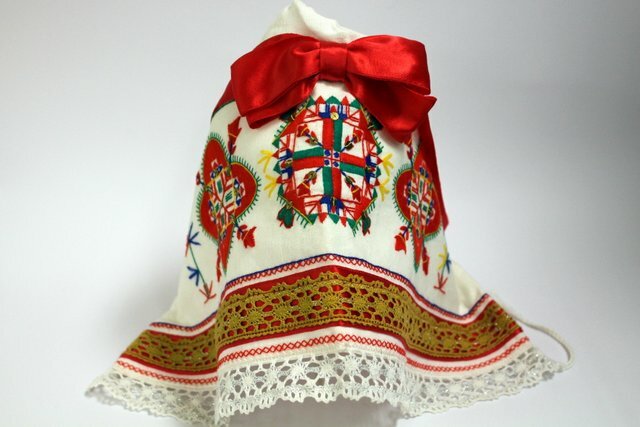 It is embroidered with colorful designs and beads and the gold braid at the bottom of the headdress particularly emphasizes the secure status of the mistress.